40+ workshops with 22+ international teachers. Alejandro is a qualified acroyoga teacher with experience in acrobatic, handstand and circus as well. Doing acroyoga since 2010, now he finally gets the opportunity to share his passion and inspire! Importance is given to three values during his courses: community, trust and empowerment. He has good vibes for everyone in his pocket! 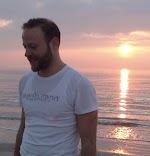 Andreas is working in his Maitri Yoga Studio in Germany. 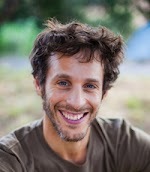 He teaches weekly Vinyasa Yoga and AcroYoga Classes, and Thai Yoga Massage Workshops. He practice AcroYoga since 2008 and still happy to be part of the first Acrobhakti Teacher Training 2016. Cathaysa Viña is a certified teacher of Simonson, an organic approach to movement that prepares the body to dance in a way that is anatomically intelligent and somatically aware. Art and Health for Cathaysa are inseparable, she fuse Acrobatics, Theater, Dance and Fine Arts with Kinesiology and Theater-Therapy. She trained in Barcelona following the teachers who have been her inspiration as a teacher. Back in Gran Canaria she develops her project "The Tree of T", she works as a therapist, she trains and teaches Acro-Dance and Simonson Technique, she directs artists and performs multidisciplinary actions. She is always ready to play and learn to teach and teach to learn. 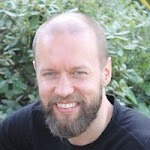 Emil is a key teacher and organizer in the Copenhagen akroyoga community. 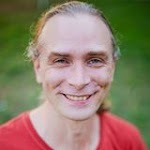 Eric is a swedish acroyoga teacher who loves how heart opening acroyoga can be, and how we in the practice can find the tools we need in our everyday life. He is also inspired by how the process of finding the strength and softness in the practice can bring out focus and presence as well as laughter and ear-to-ear smiles. Inez Almeida & Eric Simeth are certified Acroyoga teachers from www.acroyoga.org and have been teaching acroyoga together in several different countries and comunities. Their love for movement and their background in dance, acrobatics and yoga feed and enrich their practice, understanding and embodiment of acroyoga. Get to know them bit more by taking a peek at their page. Bodywisdom School is one of Europe's leading schools for northern-style Thai Massage. Co-director and tutor Fiona is a registered, accredited advanced practitioner and teacher for The Sunshine Network and THAI (Thai Healing Alliance International). Fiona's lived in Copenhagen since 2015 and after teaching in the UK and Thailand since 2004, she now offers workshops for both beginners and advanced practitioners and a professional Diploma course in Denmark as well as collaborating with dance and movement teachers. Fiona's influences include her Thai massage teachers Asokananda and Pichet Boonthume, Vipassana meditation, Yoga (especially the teachings of Angela Farmer and Victor Van Kooten) and 5R dance. She's now enjoying exploring the Acroyoga branch of the amazing body-mind tree, as well as deciphering the unfolding mysteries of the Danish language! Jaqui is a supportive yet challenging teacher for more than 10 years. Her practice is both playful and dynamic but she also encourages collaboration and connection. She is a certified yoga, AcroYoga teacher and bodywork practitioner. In the past years she has focused her energies on building Bodhitrix a platform that creates tools to encourage creative and infinite play. Jaqui is motivated in discovering ways for yoga, acroyoga and acrobatics to cross over and enrich everyday life for anyone and everyone. Having already an established Yoga, Partner Acrobatic and Thai Massage practice, Jesse discovered AcroYoga over a decade ago when he started training with Jaqui Wan at The Circus Space in London. He trained as a teacher on the 2nd AYI teacher training. He specialised as a base performing and training in an acrobatic duo for the last 6 years, but is very will to fly at any opportunity. Jesse is fascinated with the facets and subtleties of timing and direction. When these elements are aligned, impossibilities become both effortless and beautiful. Julia has a background in gymnastics and contemporary dance so movement has been a natural part of her life from a very young age. However, it was first when she found the practice of AcroYoga that brought the necessary awareness and reflection to discover what movement really means to her. "Movement is an expression and a tool to go deeper and connecting to my inner essence, to fully integrate body, mind and spirit, and to celebrate my infinite beingness!" She is very much inspired by nature, sound and dance. In her practice she aims to find fluidity and softness. And finding healing and balance in movement and stillness. By sharing her love and passion for AcroYoga she hopes to bring joy, creativity and connection through play. Just returned back from 8 months in South America with the Nûna-project, Kasper is moving in the world with curiosity and Acroyoga has a center role in this exploration - fascinated with finding stillness in movement - continuously exploring new ways to challenge our perceived limits through improvisation. Working with new ways of creating connection and expressing ourselves. With Acroyoga he has found the possibility of doing this with a focus on presence and trust in our practice and to meet each other here. 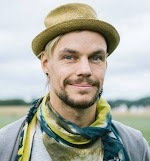 He has done his explorations for the last 10 years with yoga, swing dance, rollerblading, running and monkey'ing around in the Danish forests, climbing and of course Acroyoga and is today traveling around Europe doing workshops in handstands and acroyoga with Nûna (www.nuna.life). Katariina Sofia is both Hanuman Acrobatic Yoga and Montreal style trained AcroYoga teacher with a passion for trust, play and technique. Kat's background as a Primary School and Music Teacher gives her a profound understanding in education which she has taken to the world of AcroYoga finding the best cues and drills for every individual student. Kristine teaches and train acroyoga and partner acrobatics in Copenhagen and works as an actress at Aalborg Theatre. Monika is a yogateacher living in Stockholm. She found yoga thru an injury and discovered the healing powers of body awarness. Her love for the art of movement and diferent expressions of the body results in lots of experimenting and exploration on her yoga classes. She believes that playfulness is an important tool in strengthening from inside out and selfempowerment. Besides giving classes she is one of the headteachers at the teacher trainings of the Nordic yoga institute. With over 14 years of teaching, performing, and training experience across Australia (and soon to be the world! ), Raven draws from a wide menu of tasty movement modalities including partner acrobatics, breakdancing, yoga, classical dance, Feldenkrais, Qi Gong, Shiatsu, and Thai Massage. Currently specialising in acroyoga and ‘the art of getting upside down’, Raven has trained and taught with some of the best in the world, and was the creative director and leader of Australia’s first AcroYoga Flashmob in Melbourne in 2016. The Nourishing Nomad’s mission: To nourish bodies, minds, and souls with conscious, inspired, safe and satisfying movement, play, and physical connection. Anywhere, anytime, all the time! 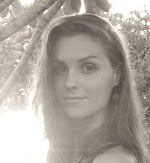 Sara is a playful acroyoga practitioner/teacher with love for presence and technique in the solar energy, as well as in the calmness of lunar. She is both a flyer and a base - cause who doesn't like both heaven and earth ;) Living in Stockholm for now, have given workshops and classes in Sweden and Bali. Born and raised in Stockholm, Sweden, Ted started gymnastics at an early age. After being spotted in a dance class, and on the advice of the teacher, he started training classical ballet. After graduating from the Royal Swedish Ballet school he worked in Sweden with Gothenburg Opera Ballet before moving to London. The love for acrobatics was always strong, and after turning his attention towards contemporary dance he eventually found aerial circus. The combination of dance and acrobatics on a trapeze or a rope allowed him to explore a new world of movement. 2012 was a turning point. Working for three months in Toronto, Ted landed somewhat sceptic on a yoga mat at a Moksha yoga studio and was hooked. After the first lesson he bought a monthly unlimited membership and started breathing. Soon thereafter he started noticing the benefits of yoga - especially the healing and calming effect a regular yoga practice has and became convinced this was the path to follow. Back in London, after performing at the opening ceremony at the London 2012 Olympic Games as an aerialist, Ted relocated to Belgium and continued his yoga journey. 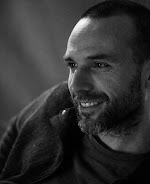 In September 2014 Ted signed up for AntwerpYoga’s Teacher Training (300hrs Vinyasa Flow) and after graduation in May 2015 he started teaching at the studio. 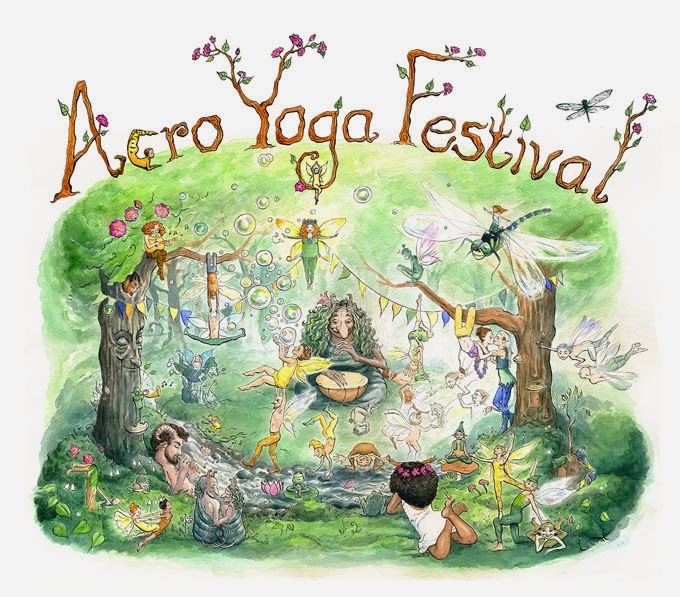 The love for acrobatics - hand balance in particular - is still very strong, and with the combination ‘acrobat/dancer/circus performer’ and ‘yogi/yoga teacher’ it seemed only logical to start exploring acro yoga. Yet another world of movement. An excited body mover since his early childhood. With the profound background of folk dances since his age of six, giving him solid foundation for the artistic, athletic and acrobatic body training, he naturally moved on enriching his experience with variety of dance styles like jazz-modern, hip hop, street dance, break dance and finally lindy hop awakening his excitement in a partner work. Which was finally leading him to AcroYoga in early 2012. Since 2014 the ancient martial and healing art of south India - Kalarippayat - being a unique and profound body training - plays an important role in his life. Teaching Kalari, AcroYoga and Thai Massage since then, he inspires people all around him and spreads the unique to him sense of humbleness, calmness and joy. In exchange we offer a reduced price: 1900 SEK (regular price 3500 SEK). This price includes the organic food and camping space. The amount of volunteers is limited, and it depends on the amount of participants. More signups, then more volunteers needed. The signups for volunteers will be collected in a list sorted by chronological order. We will prioritise that order and the previous experience as volunteer.